Yamaha Motor Launches First Strategic Motorcycle for Africa — The CRUX Rev will be released in Africa from April 2017 and later in Central America and the Caribbean — - News Releases | Yamaha Motor Co., Ltd.
IWATA, February 2, 2017—Yamaha Motor Co., Ltd. (Tokyo: 7272) announced today that the CRUX Rev, the company's first strategic model for Africa, will be released in African countries from April 2017. Fitted with a 4-stroke, air-cooled BLUE CORE 110cc engine, this new model will subsequently be launched in countries in Central America and the Caribbean. As the first strategic motorcycle developed by Yamaha Motor for Africa, the CRUX Rev is a next-generation basic street model created based on thorough local surveys to incorporate design aspects which take into account the traffic environments and commercial applications in many countries. The motorcycle’s main features are 1) class-leading excellent fuel efficiency from its BLUE CORE engine (improved by approx. 18% in comparison to existing models), 2) a flat seat and board-style tandem foot rests comfortable even for tandem riding, and 3) excellent practicality including a rear carrier with superior carrying capacity and suspension to support heavy loads. Two configurations are available: a spoke wheel specification with kick start, and a cast wheel specification with electric start. The African and Central America/Caribbean motorcycle markets total roughly 3.6 million units (2016 results/Yamaha Motor survey). Approximately half of this number are 100-150cc motorcycles which are used as bike taxis. 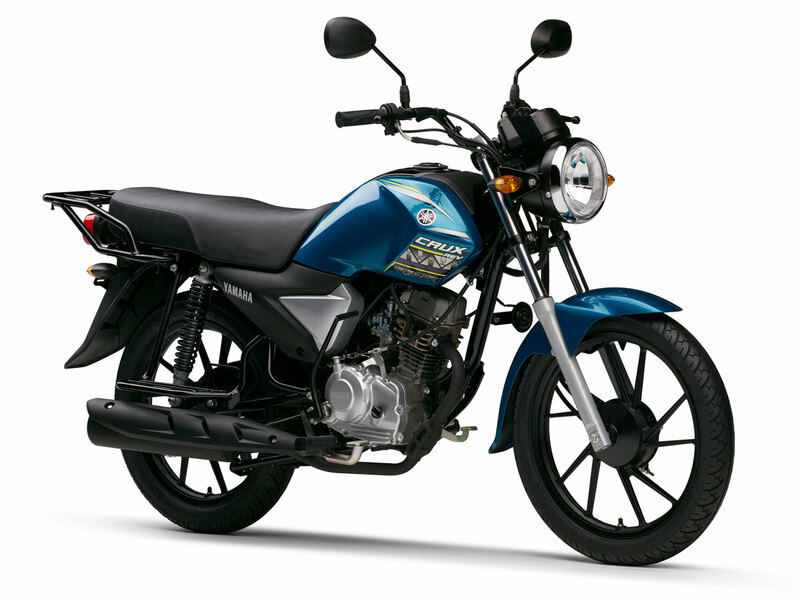 The current CRUX model (110cc) was originally developed for India, and was introduced in Africa and Central America/the Caribbean from the early 2000s. It earned great support in Africa through its use as a bike taxi, and in Central America/the Caribbean for its entry-level commuter and delivery purposes. With the growth of various financial support systems such as microfinance in recent years, demand for bike taxis and delivery applications is forecast to grow even further, and customers expect the launch of models which fulfill criteria for fuel efficiency, cost, and quality/reliability. The CRUX Rev has been developed in response to these needs, and is a model with superior cost-performance in addition to great practicality and comfort. Manufacturing will be carried out mainly by Indian production company, India Yamaha Motor Pvt. Ltd. (IYM).